To credit the original sources of the evidence and ideas used in your work. To support your readers/viewers in finding the original source of the evidence and ideas used in your work. ​There are varying formal formats for documenting sources. Specific citation styles are loosely associated with specific disciplines, because they highlight individual elements vital to information utilized and shared within the discipline. ​MLA (Modern Language Association) documentation is generally used for disciplines in the humanities, such as English, languages, film, and cultural studies or other theoretical studies. ​The Modern Language Association. APA (American Psychology Association) documentation is generally used in the natural and social sciences, such as psychology, nursing, sociology, and social work. It is also used in economics, business, and criminology. American Psychological Association, APA Style Central. In addition, to these more common citation styles, there are a variety of additional documentation styles created and utilized within specific disciplines. MLA 8 is the latest version of MLA documentation guidelines. ​ Click "Get Started" to see annotated information resource along with citation worksheet. How to recognize different source types. Please know that citation generation tools are not 100% accurate, and that it's important to review elements for completeness and accuracy. Also, many popular citation tools have been purchased by one company which for a number of reasons is problematic. ​ If using a citation generator, I highly recommend My Bib. ​See UNC Writing Center's Annotated Bibliographies for easy to understand how to and why information. Bibliography record according to the appropriate citation style (MLA, APA, CBE/CSE, etc.). Verification or critique of the credibility of the author and/or publication. Utilize data or statistics, infographics and other forms of media such as images. Hyperlinking ​ as a sole means for citing sources is questionable and depends on the context. Hyperlinking is fundamental to the world wide web and important to the practice of digital writing, not only because it deepens the conversation, but also because through the act of hyperlinking, you're increasing the search engine optimization for the sources you're hyperlinking. However, when links break as websites change and get taken down, your sources don't get cited and your work loses credibility. For academic purposes, formal citations are necessary; and in general, you can never go wrong with doing both, hyperlinking and citing sources. 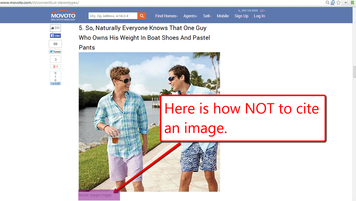 Google Images is NOT a source; it's a search engine and so should not be included in a citation. In text (parenthetical) citations, link each cited quote or idea with it's original source and its full text citation shared on a works cited, references or bibliography page. Parenthetical citations most often appear in parentheses directly after the quote, idea, or fact you are citing, and may contain the last name of the creator, publication date or page number, depending on citation style and source type. Numbered in text citations, most commonly associated with Chicago style, appear as sub-scripted numbers, after the item being cited, rather than information in parenthesis. The numbers correlate with footnoted citations or additional information appearing at the bottom of the page. 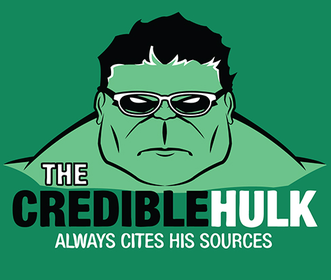 This site Includes information on "How to Paraphrase", "Citing Sources" and more.